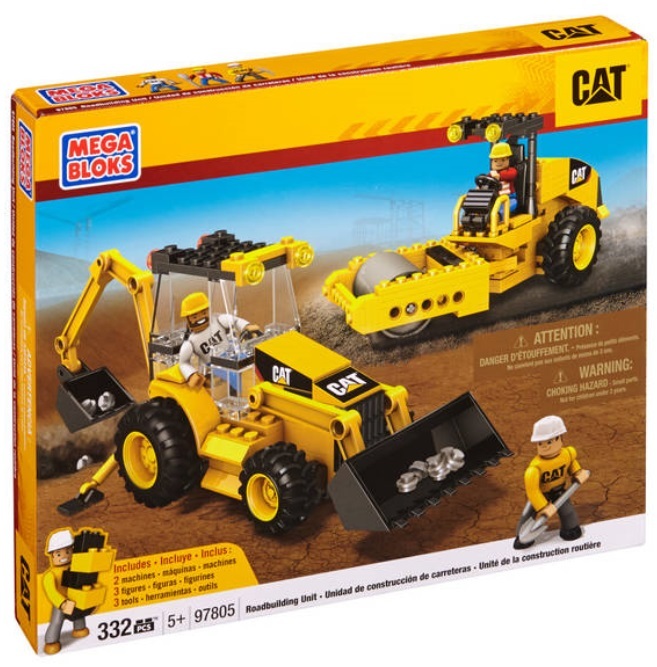 Product Detail Summary: Pave the way for vehicles of all shapes and sizes to drive safely with the Roadbuilding Unit from Mega Bloks CAT. Build the backhoe loader tractor with working backhoe arm and front loader, use it to dig holes and move cement or earth from and to the roadbuilding zone. Construct the road compactor and smooth down the road, then team them all up with your CAT construction workers to put the finishing touches and get it ready for regular use. Ideal for children ages 5 and up!